NEW YORK (January 4, 2011) – Sidney Crosby, Evgeni Malkin, Kris Letang and Marc-Andre Fleury of the Pittsburgh Penguins and Jonathan Toews and Duncan Keith of the Chicago Blackhawks are the six players selected as NHL® All-Stars via 2011 NHL All-Star Fan Balloting presented by XM, the National Hockey League announced today. Each is scheduled to appear in the 2011 NHL All-Star Game presented by Discover as well as the Honda NHL SuperSkills® in Raleigh (Jan. 29-30). At the close of the 2011 NHL All-Star Fan Balloting presented by XM at 11:59 p.m. ET on Monday, more than 14.3 million total votes were registered. Crosby was the top-voted player with 635,509 total votes and the first forward named to the 2011 All-Star Team; Chicago’s Toews tallied 407,676 total votes and Crosby’s Pittsburgh teammate Malkin tallied 376,887 to round out the top three forwards. Pittsburgh’s Letang, a write-in candidate, was the top-voted defenseman with 477,960 total votes; he will be joined by fellow defenseman Duncan Keith of Chicago who received 382,162 votes. Pittsburgh’s Marc-Andre Fleury is the first goaltender named to the 2011 All-Star team with a total of 426,305 votes. These six players will be joined in Raleigh by 36 additional All-Stars, who will be unveiled on Tuesday, Jan. 11. Also that day, 12 NHL Rookies will be selected to participate with the NHL All-Stars in the Honda NHL SuperSkills® on Sat., Jan. 29 at the RBC Center. Rookies will be selected from the pool of players in the League who qualify as Rookies, and who are eligible to win the Calder Trophy. Once the selection of the 42 All-Star players is complete, the players themselves will decide which two All-Stars will become team captains as well as four alternate captains, two for each team. Approximately two weeks from today, the captains will be revealed, at which time team names will be designated as the last name of each respective captain. 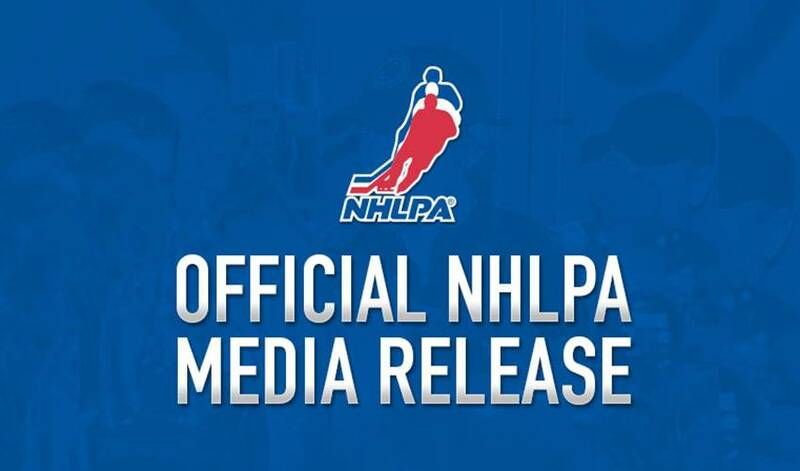 As previously announced, the NHL, working in conjunction with the National Hockey League Players’ Association, replaced the traditional conference vs. conference format for the All-Star teams with a player draft that will determine the team rosters for the 2011 NHL All-Star Game presented by Discover as well as the Honda NHL SuperSkills®. The Jan. 28 NHL All-Star Player Fantasy Draft enabled by Cisco will be televised live nationwide on TSN in Canada and VERSUS in the U.S. at 8 p.m. ET from NHL Fan Fair™ at the Raleigh Convention Center. A coin toss will decide first pick with the team captains, joined by their two alternate captains, alternately drafting the 36 remaining All-Stars through 18 rounds. Each team will consist of three goalies, six defensemen and 12 forwards total. For sake of fairness in the draft, the captain and alternate captains for each team will consist of two forwards and one defenseman. Also, to ensure that the final draft picks are true selections and not simply predetermined due to position requirements, each team’s three goalies must be picked by the end of Round 10 and each team’s six defensemen must be picked by the conclusion of Round 15. The 12 Rookies participating in the Honda NHL SuperSkills® will be divided by the NHL into two groups of six. At the completion of the 15th round of the NHL All-Star Player Fantasy Draft enabled by Cisco, one NHL Rookie will be selected to choose which All-Star team his group will join for the skills competition. Details on fan access to the NHL All-Star Player Fantasy Draft enabled by Cisco will be announced in the coming weeks. During the Honda NHL SuperSkills® competition on Jan. 29, the NHL All-Stars and Rookies will participate in six events, including the Bridgestone NHL Fastest Skater™, where All-Stars will race to see who is the fastest on the ice; the BlackBerry NHL Breakaway Challenge™, where NHL All-Stars put their best goal scoring moves and skills to the test; the McDonald’s NHL Accuracy Shooting™, where All-Stars will show-off their on-ice shooting precision; the XM NHL Hardest Shot, a fan favorite; the Discover NHL Elimination Shootout™, a time-honored game of “hockey survivor” where NHL All-Star goaltenders will face penalty-shot attempts from the All-Star shooters until there is only one shooter left standing; and the all-new G-Series NHL Challenge Relay, an all-around competition that will showcase the one-timer, passing, puck control, stick-handling and accuracy shooting. Like the All-Star teams themselves, the selection process for the coaching staff of each team is new this season. First, by virtue of winning the 2010 Stanley Cup, Chicago Blackhawks head coach Joel Quenneville will be the head coach of one of the All-Star teams. He will be assisted on the bench by Mike Haviland, his current assistant in Chicago. For the remaining All-Star team, two head coaches, one from the Western Conference and one from the Eastern Conference, will be named co-head coaches. After all of the NHL regular-season games are played through Saturday, Jan. 8, the head coach of the team with the highest points percentage (points earned divided by total possible points) in each conference will co-lead the team. The coaching staffs will be designated to each captain via coin toss before the NHL All-Star Player Fantasy Draft enabled by Cisco. The 2011 NHL All-Star Game presented by Discover will mark the first time Carolina has hosted NHL All-Star activities. The League’s mid-season spectacular will take place Saturday, January 29 and Sunday, January 30 and will include Honda NHL SuperSkills® and the 58th NHL All-Star Game presented by Discover at the RBC Center. Live television coverage of both nights will be provided by VERSUS in the U.S. and CBC and RDS in Canada. The Honda SuperSkills® will begin at 7 p.m. ET on Saturday, and the 2011 NHL All-Star Game presented by Discover will start at 4 p.m. ET on Sunday. NHL, the NHL Shield and NHL SuperSkills are registered trademarks and the NHL All-Star Game logo, NHL Fan Fair, NHL Fastest Skater, NHL Breakaway Challenge, NHL Accuracy Shooting and NHL Elimination Shootout are trademarks of the National Hockey League. All Rights Reserved.